[UPDATE] You Gift… We Gift Card Back! HAPPY HOLIDAY SHOPPING! 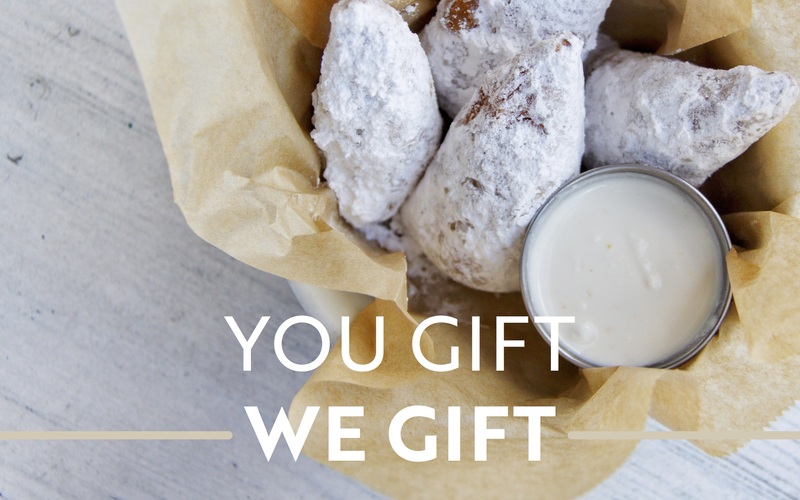 Kick back and enjoy our gift of thanks. BACK BY POPULAR DEMAND! We are extending our terms of endearment for one more week. Until, December 24. Same links below apply. Happy gifting! From Thanksgiving Monday, November 20 through Cyber Monday, November 27, stop by our restaurants, or order online to receive $20 for every $100 spent in Gift Cards. You can purchase physical Gift Cards or our new eGift Cards which can be sent right away to friends and family! Buy three $100 Michael’s Genuine cards, get three complimentary $20 Michael’s Genuine cards at the time of purchase. 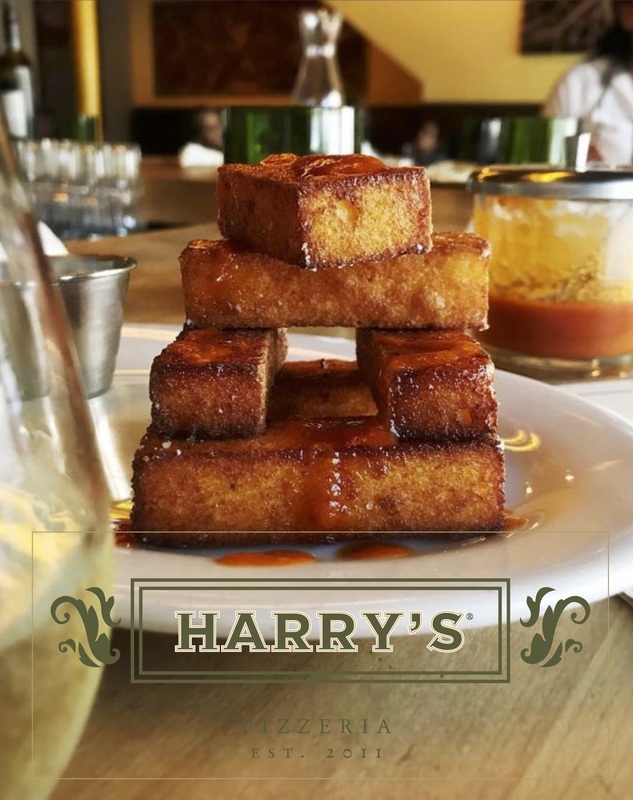 Buy two $50 Harry’s Pizzeria cards, get one complimentary $20 Harry’s Pizzeria card. The deal is available for purchase on site at Michael’s Genuine® Food & Drink, Ella Pop Café and all Harry’s Pizzeria® locations. To purchase eGift cards online now and throughout the holiday season from the soon to open Genuine Pizza, follow the eGift Card links below or visit genuinepizza.com! The Marra Forni oven is being cured and the signage hoisted. 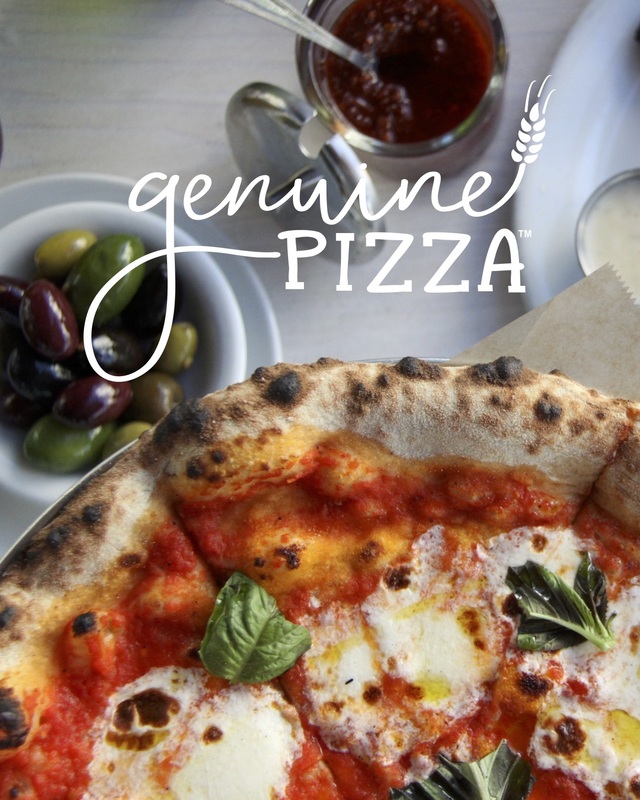 Get ready to experience honest ingredients, chef-inspired combinations and a thoughtful process at Genuine Pizza in the Aventura Mall as we prep for opening later this month. Our flagship restaurant in the Miami Design District has been shopping for season and the outlook from our favorite local farms is bountiful! Get taste of what’s growing, prepared simple and delicious, from squash blossoms to eggplant. 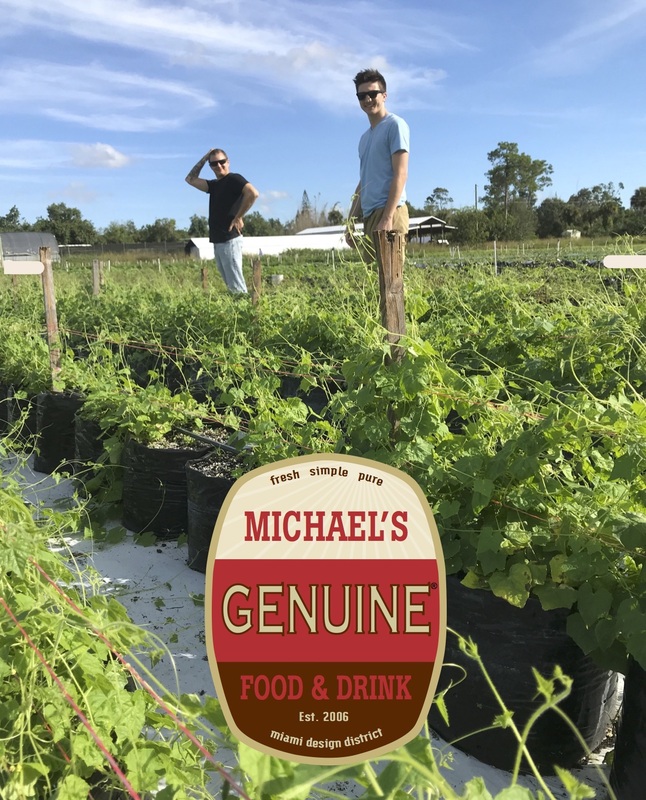 Michael’s love letter to Miami is also his first waterfront restaurant. Grab the gift of the most anticipated new restaurant of the season… before it opens in January! We are firing up the Josper charcoal grill-oven and getting ready to serve a taste of what’s to come at our pop up in December (tickets here). While we get a jumpstart on opening, you can give the gift of the Amara experience now. 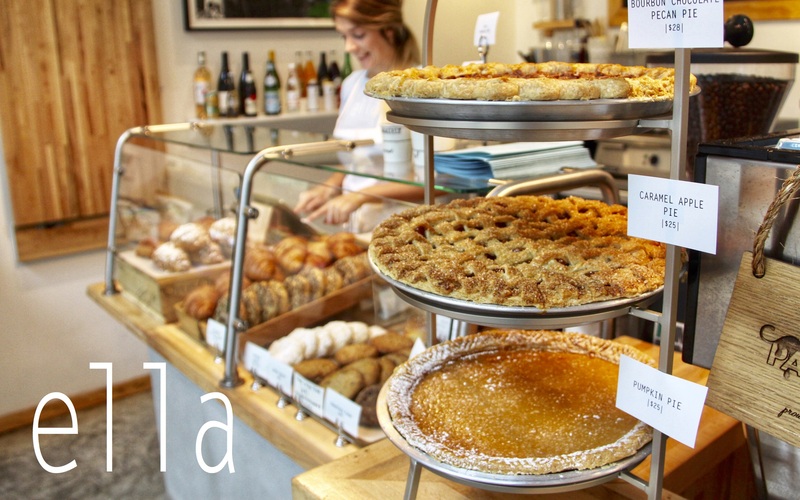 Our original place for pies is your happy place with three locations pumping out your favorite snacks, salads, pizza, entrées and dessert just like they always have in Coconut Grove, the Miami Design District and Downtown Dadeland. Ella is always ready for a celebration. From our new homemade holiday pies available for pre-order now to daily treats made fresh from our pastry team, there’s something to enjoy or share with the people you love. It’s the little things that make it special! We look forward to spending the most wonderful time of the year with the most wonderful people. Here are our 2016 Holiday Hours to help you plan your festive gatherings with us and those you love! Open for lunch, afternoon service & dinner until 11:00 p.m.
Dinner: 5:30 – 10:00 p.m. Treat Yo’ Self & a Friend: BOGO Out Loud this Holiday! Treat yo’ self & a friend! Buy one Baking Out Loud cookbook, get one free on the e-shop (michaelsgenuine.com/SHOP) until December 20, our express shipping deadline. 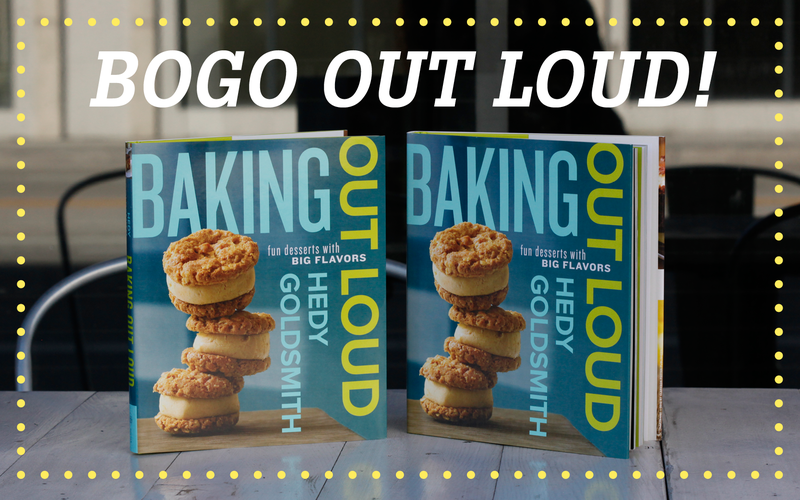 Executive pastry chef Hedy Goldsmith’s debut cookbook is $27.50 and can come signed or personalized. Click here to add one to your shopping cart, and we’ll match the first purchase per customer. BOGO or go home! Offer good for online purchases only. Genuine elves to the rescue! 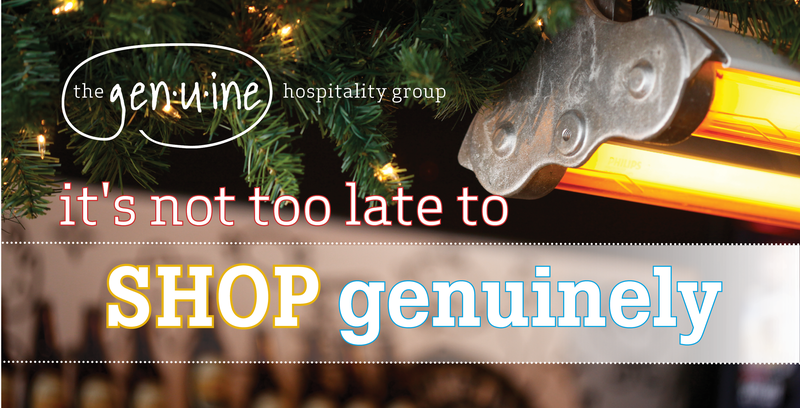 We can help with all your holiday gifting needs, especially The Genuine Hospitality Group Gift Card. Click the slow roasted short rib pizza above to purchase, and follow #TGHGGiftCard on our Instagram accounts @MGFD_MIA, @harryspizzeria, @thecypressroom, and @mghomebrew for a treasure hunt of more genuine treats it can buy! Welcoming more luxury, more neighborhood. Whether you’re out for a stroll to enjoy Palm Court’s Buckminster Fuller Dome or on a mission more than mere window shopping, Michael’s elegant American dining room is open for lunch and dinner in Miami’s Design District. Click here for our lunch prix fixe menu and book by calling 305.520.5197 or emailing reservations@thcypressroom.com.